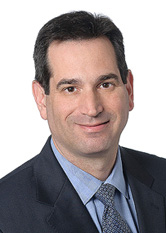 David F. Swerdlow's practice focuses on insurance-related litigation and regulation. He represents insurance companies in bad faith, coverage, fraud, and class action litigation, and advises companies in various regulatory matters, including unfair trade practices, policy renewal and cancellation, withdrawal, and admission. Mr. Swerdlow also defends insurance producers in professional malpractice cases, and represents insurance premium finance companies in matters involving fraud. In addition to his insurance practice, Mr. Swerdlow has represented clients in significant matters involving issues of corporate successor liability, consumer fraud act violations, and employment discrimination. Mr. Swerdlow has appeared before the New Jersey Supreme Court and has extensive appellate practice experience. He is a member of the Mercer County and New Jersey State Bar Associations. At New York University, he was a recipient of the Chancellor's Service Award. While attending Syracuse University College of Law, he was an Associate Editor of the Syracuse Law Review and received an award for excellence in trial advocacy. Upon graduation, he served as Law Clerk to the Honorable William M. D'Annunzio, Superior Court of New Jersey, Appellate Division (1993-94).